Even if I have ten different ways to cook the Kabuli channa, I still get tempted to try a new version. I was badly tempted when I saw the combination of Halwa Puri. 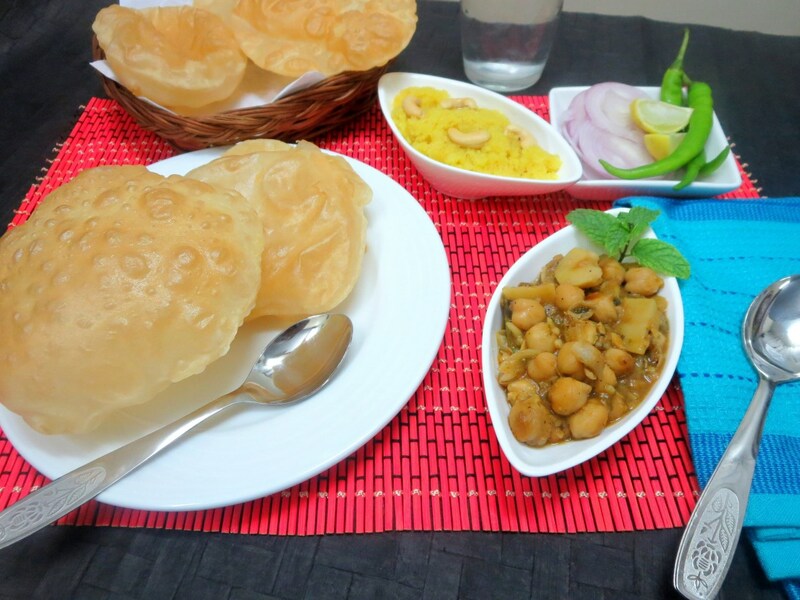 Though the name doesn’t include the chhole, it goes without saying that the pooris are served with Chhole. This seem to be a famous combination to be served for breakfast. I made it for Breakfast and kids liked it a lot. Though they didn’t eat with the halwa. The poori and this aloo cholay was a good combo. Guess a cholay and a poori can never go wrong. Even though the ingredients were similar, the method of cooking brings in different taste and I have used fresh Mint leaves from my pot. I love gardening, though somehow I seem to have lost my mojo there. I frequently try to get it back with putting in mint and coriander. Even if I can manage in the time, I lack the space to have my pots in proper place. I will have to get back my herbs potted at least. I adapted the Cholay from here and used the Pakistani Garam masala from the same site. Soak the channa overnight in plenty of water. Before pressure cooking, change water couple of times. Pressure cook for 3 whistles. When the pressure falls down, add ginger, potato, cumin, turmeric, chilli powder and green chillies and mint, pressure cook for another 2 whistles or till tender. In a non stick pan, melt the ghee, fry the onions, green chilies until they are lightly browned. 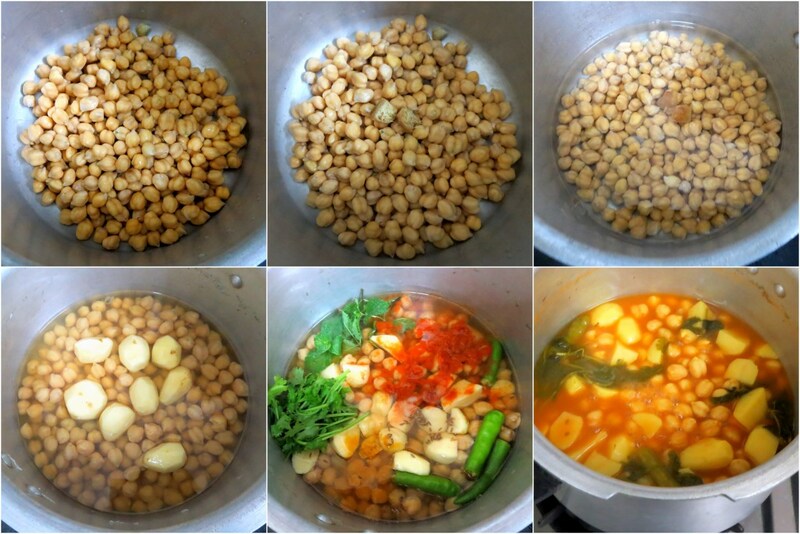 Stir them into chick peas with salt and garam masala powder. Remove the pan from the heat and stir in the lemon juice and fresh mint. As you mentioned, though the ingredients used are similar to Indian choley, preparation is quite different. Nice salan to serve with poori. 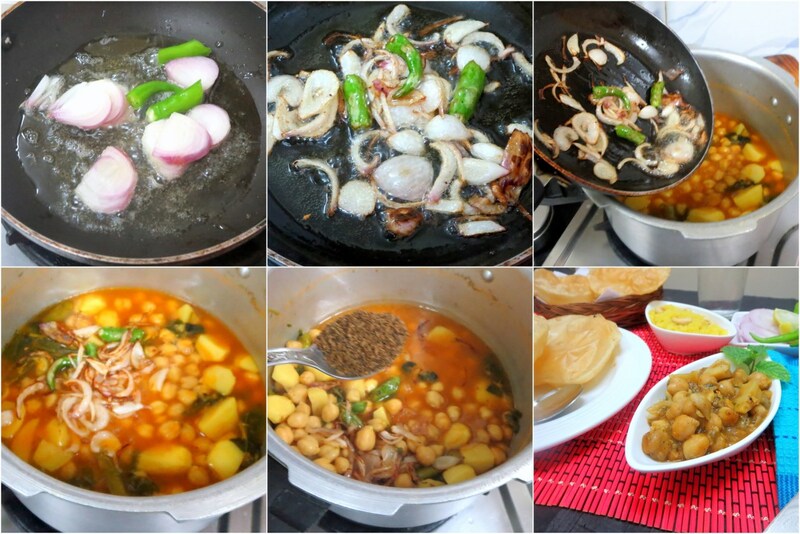 I tasted this aloo chana from one Pakistani friend and loved it.Nice preparation. The mint leaves in the chole sounds very interesting , will try this version the next time I make cholas . 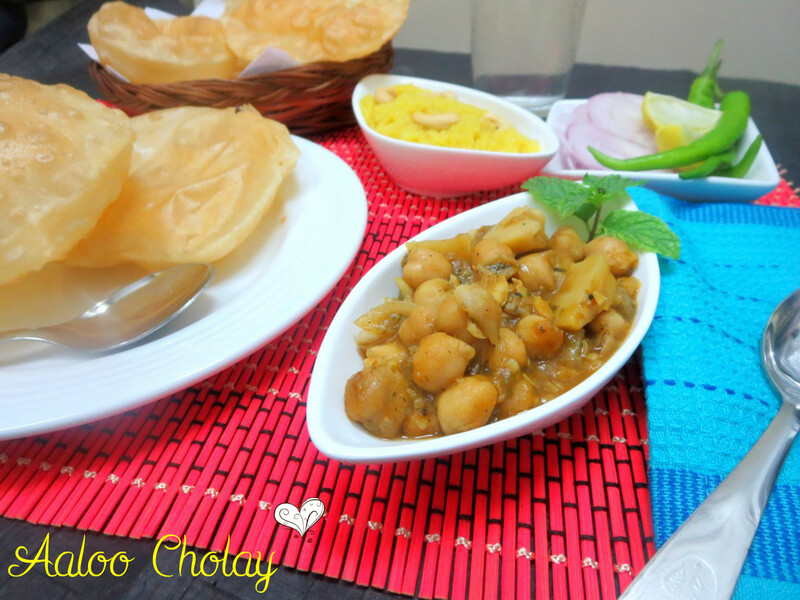 a simple choley, made in so many different ways, looks delicious with that poori valli!! 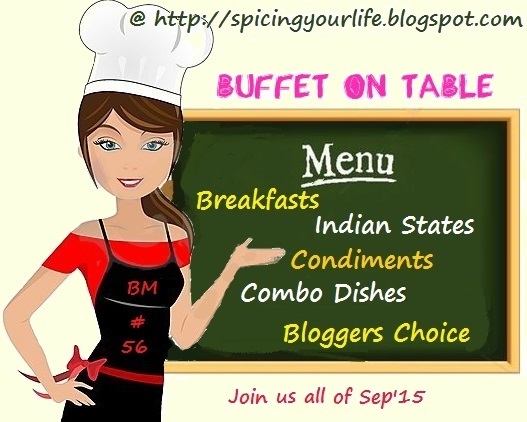 Flavorsome combo!!! 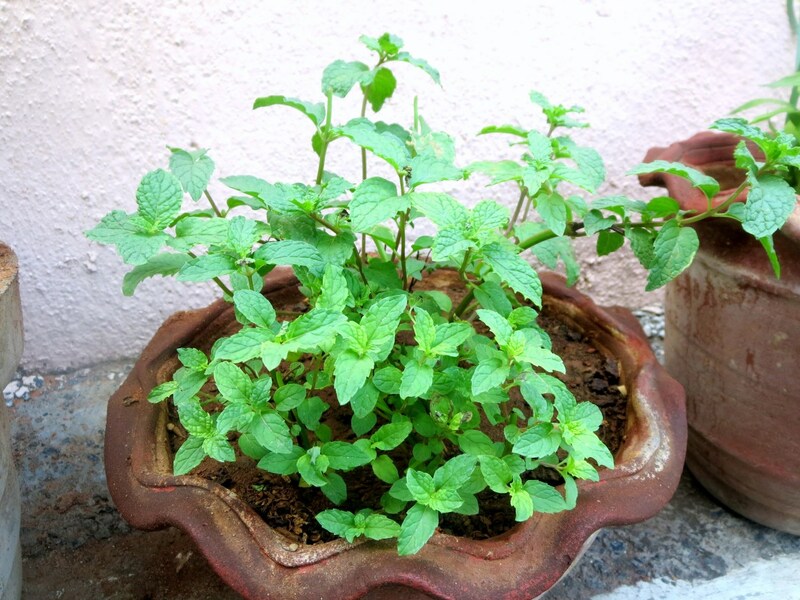 Adding mint leaves sounds interesting..Best to have with pooris/rotis. Love the aroma of fresh mint. Lovely chole. This is a one flavour full cholay. Love the simple and yummy flavourings.